Uneven Lies is the most significant and exciting addition to World Golf Tour in recent history, making the game even more realistic and challenging. You can now choose to play with realistic uphill, downhill and sidehill lies. This new "Uneven Lies" feature is currently only available in Practice stroke play games, so there's no impact on Average Scores and we can get feedback from players on the impact of the new feature. 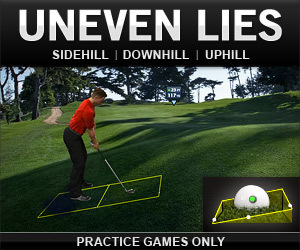 Note: if you select the current "Even Lies" option in any game, you'll continue to have the same experience with relatively flat lies on fairway, rough, sand or other surfaces. Uneven Lies makes your experience more realistic, but also harder, as like in real-life players will want to favor flatter landing areas of the course, or they will face more challenging shots from uneven lies. We'll be monitoring WGT Forums closely for feedback on this new feature, so let us know what you think! September is Ryder Cup Month, as the world's top 12 players from Team USA and Team EUROPE battle at Medinah starting on 9/27. 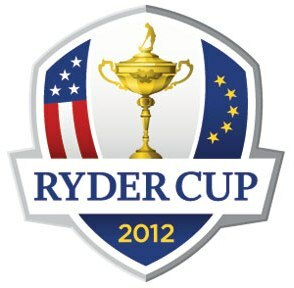 ...and stay tuned for a special WGT tournament during the Ryder Cup! Wolf Creek is one of the most popular virtual golf courses on WGT. 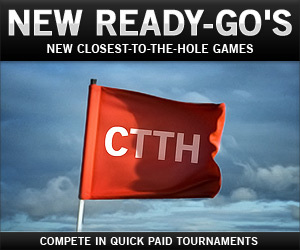 Last month we introduced new Ready-Go tournaments on Closest-to-the-Hole 9-shot games. 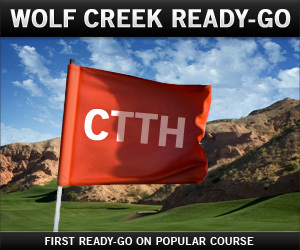 This month we debut Wolf Creek in its first Ready-Go CTTH. These fast tournaments are only 100 credits to enter and close 3 hours after the 50th entry, so you can play them over and over again. Good luck! Meet MAX, a new line of virtual golf equipment from WGT, that offers the "maximum" performance in a key area. 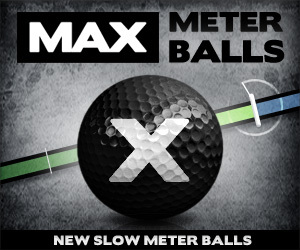 The first MAX product is the new MAX Meter Ball which offers the slowest WGT swing meter, with a 5 out of 5 ranking in feel, but slightly less distance and spin than the top NIKE balls. However, if you want a better chance to "ding" more shots and hit them straighter and longer, then MAX is the ball for you. There are 2 MAX Meter balls, unlocking for Hacks and for Pros, and all the new MAX equipment will unlock at Tiers instead of Levels to better align the equipment with the player's skill level. 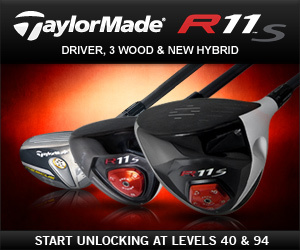 Fans of the top-performing R11S Driver and 3 Wood will be happy to see a matching R11S Hybrid, now available at Level 43 and Level 96, with more distance and a matching swing meter so players can have a full set of R11S woods. We've added more country avatars for countries as voted on by Facebook fans. 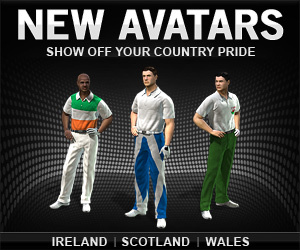 Enjoy new country avatars with the national colors of Ireland, Scotland, Wales and Australia. These countries were selected by WGT Facebook fan voting, with more countries coming soon! 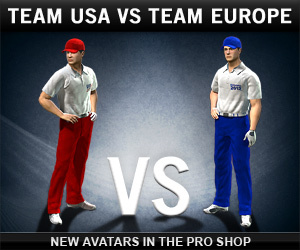 Visit the Pro Shop to see the new avatars. 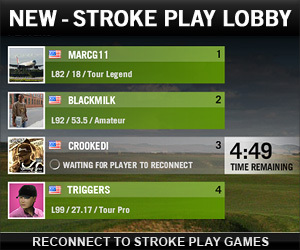 Based on player feedback we've added a lobby to stroke play multi-player games, so if one of your players gets disconnected they have 5 minutes to reconnect to the game and finish with the group, instead of on their own. The Stroke Play Lobby works the same as with multi-player Skins and Alternate Shot games. And to help players decide who they want to play with, we've added a Disconnect % next to player names in multi-player game set-up that shows how often that player does not complete multi-player games. We anticipate tuning the rules for Disconnect % based on player feedback, so let us know what you think. WGT players who like to use Gift Cards for WGT Credits will find some new options available. In addition to Subway, Circle K and CVS, you can now redeem Gift Cards from Burger King and Shell. A Whopper or Nike Balls? Tough call. 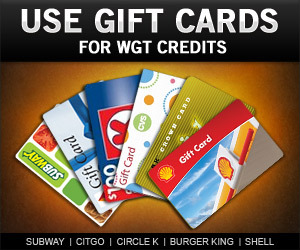 Redeem your Gift Cards for WGT Credits. So much was going on at The Barclays that you needed the pause button on your remote to keep up with it all. For one, if Nick Watney didn’t come out of nowhere to win the first event in this year’s PGA Tour playoffs for the FedEx Cup, he was certainly in the shadows. 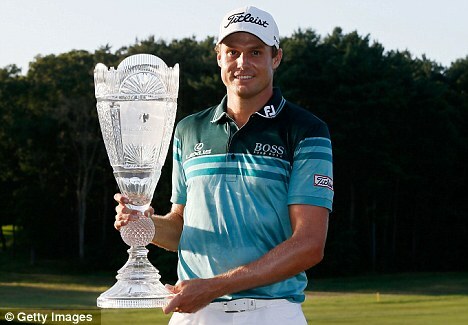 Watney won his fifth Tour title by three shots to salvage what had been a lackluster year. After winning twice in 2011, big things were expected for Watney but he only had three top-10 finishes in 2012 prior to The Barclays, including an eighth at the Wells Fargo when he led after 36 holes. Watney wiped out a two-shot advantage held by Sergio Garcia at the start of Sunday’s final round at the Black Course at Bethpage State Park on Long Island and went on to shoot a 2-under 69 in the final round for a 72-hole total of 274, 10-under par. He now vaults to the top of the FedEx Cup points standings going into this week’s Deutsche Bank Championship in suburban Boston, which starts on Friday and finishes on Labor Day. Then, there’s Garcia, who was trying to win for the second consecutive week, having taken the Wyndham Championship title the week before in Greensboro, N.C. After holding the 36- and 54-hole lead, he stumbled to a 5-over 76 on Sunday and finished tied for third. And, there are the Ryder Cup captain’s picks, now muddied up by the performances of Brandt Snedeker and Dustin Johnson. Snedeker, one of the Tour’s best putters, shot a 1-under 70 in the final round to finish second at 7 under. Johnson, who like Snedeker lies just outside the top 12 in Ryder Cup points, carded a 3-under 68 to tie for third with Garcia. You can’t count out the course, either. 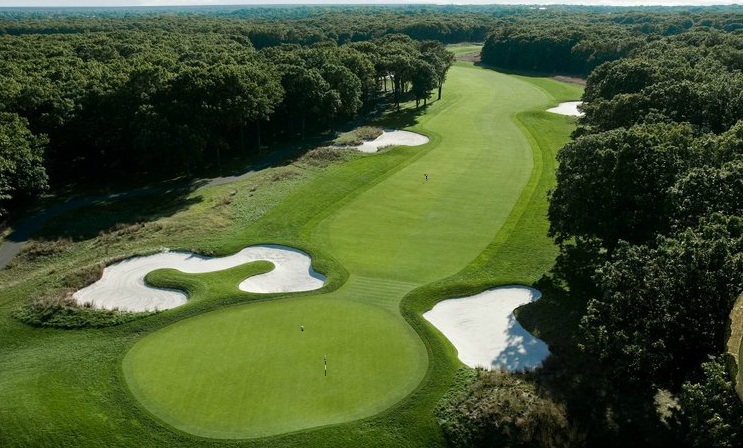 The Black Course at Bethpage has hosted two U.S. Opens, in both of which Garcia finished in the top 10. And it played like an Open venue. Firm, fast greens and high rough gave the players problems all week. Canadians Graham DeLaet and David Hearn were among a handful of players to play their way into the top 100 that will start the Deutsche Bank this week. DeLaet shot a 6-under 65 on Sunday to finish at 5 under, tied for fifth with Louis Oosthuizen, Lee Westwood and Brian Harman. More importantly, he went from 106th in points to 44th, the biggest jump of the week. Hearn went from 108th to 67th with a top-10 finish. Bob Estes went from 103rd to 62nd, Tommy Gainey played his way in from 102nd to 91st and Jonas Blixt went from 101st to 97th. On the other end, John Mallinger, Will Claxton, Chad Campbell, Fredrik Jacobson, Andres Romero and Chris Stroud all played their way out of the top 100. URGENT FLASH UPDATE: Adobe’s latest Flash update version 11.4 appears to fix the remaining issues playing World Golf Tour using Flash in your Web browser. Visit the Adobe Flash site (http://forums.adobe.com/message/4637119#4637119) to download the latest version for your web browser. Google Chrome users: we recommend keeping the built-in Pepper Flash disabled and automatic updates turned off for now. Make sure you have 11.4.402.265 enabled and installed. Disable all other versions of Flash. **Note, this is an update from our last post about game play issues with Flash. 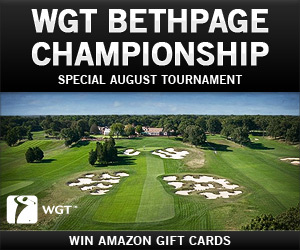 Don't miss your chance to win by playing in the WGT Bethpage Championship this week during The Barclays. Post your best unlimited-play score in the qualifying first round that ends Friday 8/24. The top 50% of scores will make the cut to play in the weekend championship round, a challenging single-play round on Bethpage that ends Sunday 8/26. The top 10 combined scores win Amazon gift cards! And don't miss The Barclays action this weekend, as 125 of the world's best golfers play in the first round of the FedExCup at Bethpage. Check the Golf Channel and CBS for your local TV listings or visit the official tournament site. 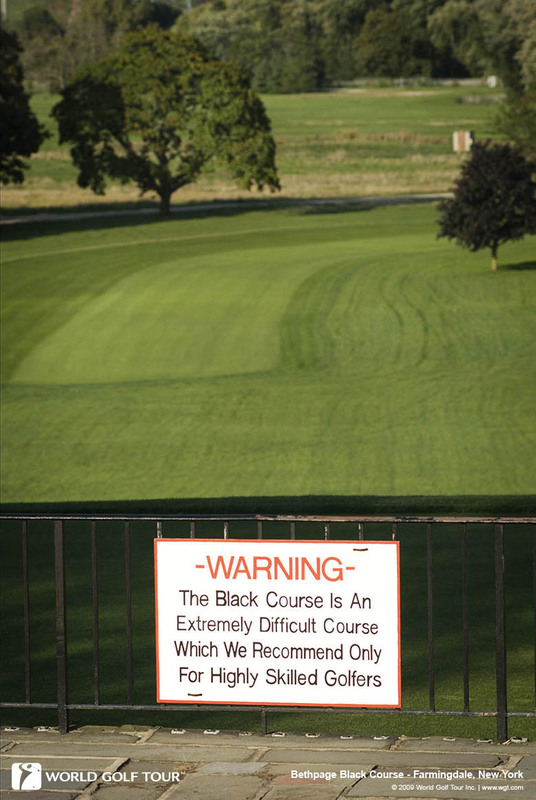 Bethpage Black is the site of this week's Barclays tournament on the PGA Tour, and the first 2012 FedExCup playoff event. 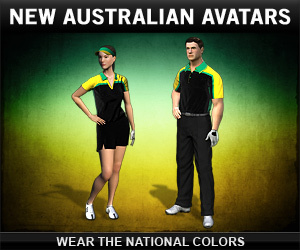 It's also available free to play on World Golf Tour. The infamous Black course is extremely challenging with tight fairways and elevated greens. Here's a preview of some of holes the pros will take on this week. 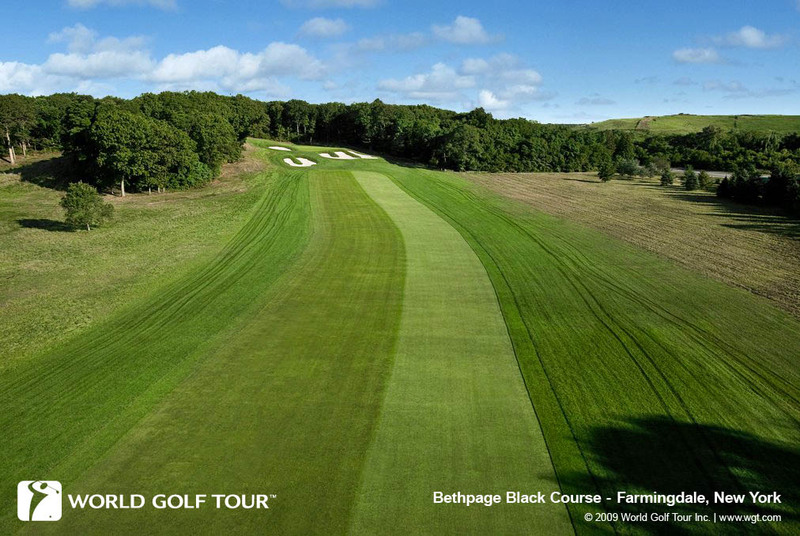 You can test your skills on the same holes by visiting the Bethpage Black golf course page on WGT, pick your hole and get started -- no signup required. This par 5 is possibly the best hole on the course in terms of beauty and strategy. Play it conservatively as a three-shotter or take the challenge and go for two. The green slopes front to back away from you, so be careful of approaches from the lower drive zone. Use long irons and hybrids for approach shots to this green that is closely guarded by a deep bunker on the front right. Achieving this par 4 will be an excellent accomplishment on one of the toughest holes on the front nine. The slight dogleg 15th is not the Black Course's longest par 4, but it will likely again be one of the toughest this weekend. Finding the fairway off the tee will be crucial to having a realistic chance to reach the green in regulation. The 15th putting green is without a doubt the most challenging with its severe slope from the back left to the front right. WGT Player Willsstrs posted his replay with tips on playing this hole: "WGT's Hardest: Bethpage 15th approach"
We love golf as much as all of our players do, and are lucky enough to get to send some of them on amazing golf trips by winning online golf tournaments. Here are some of the recent winners, who are going on golf trips to some of the most beautiful golf courses in the world, including Pebble Beach, Bali Hai, Wolf Creek and Edgewood Tahoe. 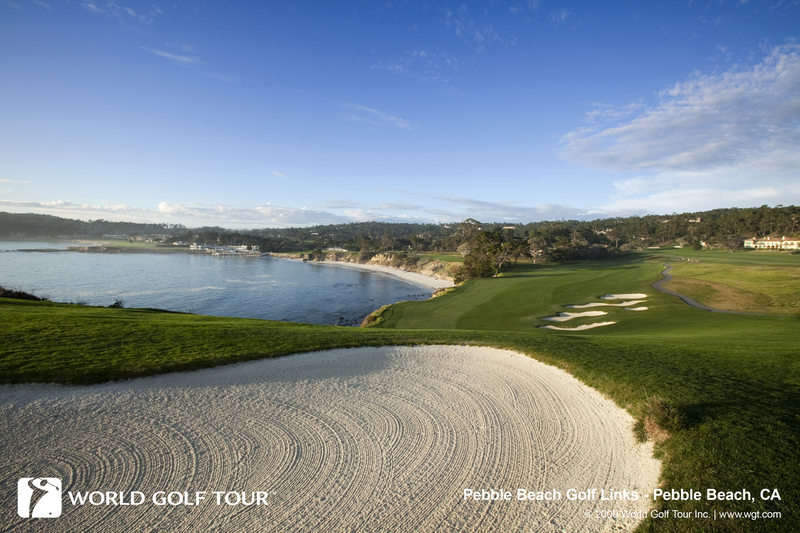 Prize: joesneddon was the lucky sweepstakes winner, chosen at random, for a golf trip for two to Pebble Beach - including a round of golf at the Pebble Beach Golf Links, a round at the Links at Spanish Bay, 3 nights at the Inn at Spanish Bay, and airfare. Prize: Alberta2009 was the lucky random sweepstakes winner, for a golf trip for two to Bali Hai Golf Club in Las Vegas (ranked #6 among Golf Digest's "Readers' Choice" Rankings) - including 2 rounds of golf, a 2-night stay, and airfare. Prize: CJWILLISSS was the lucky random sweepstakes winner, for a golf trip for two to Wolf Creek Golf Club (ranked #21 among Golf Digest's "America's 100 Greatest Public Golf Courses 2009-2010") - including 2 rounds of golf, 2 nights at the Eureka Casino Hotel, and airfare. Prize: Didymus was our lucky tournament sweepstakes winner, chosen at random, for a golf trip for two to Tahoe - including 2 rounds at Edgewood Tahoe, 2 nights at the Edgewood Tahoe lodge, and airfare. Congratulations again to all of our trip winners, we'll be contacting you for photos, videos and stories from your trips. Play the free Monthly Sweeps tournament on the new Best of Putting course, where 3 random players will win 500 WGT Credits. And don't miss the other "Best Of" courses on WGT including the Best of Famous Shots and Best of Water Shots closest-to-the hole challenges, plus full stroke play courses for Best of Famous Holes and Best of Hardest Holes. *Free tournament open to all players. See tournament rules for prize eligibility. With the fast 9-shot CTTH (closest-to-the-hole) format, the new CTTH Ready-Go tournaments close just 3 hours after the last entry. Enter for 50 or 100 WGT credits, and the top 30 of 50 players earn credit prizes, with 6X credits for first place. Ready-Go's are paid online tournaments on World Golf Tour. There's always a Ready-Go tournament available on different courses, that change every few weeks, for entry fees from 50 to 1,000 WGT credits. The 2012 Ryder Cup features the world's best PGA and European Tour players in a head-to-head battle at Medinah Country Club in September. Other past Team Europe Ryder Cup players include: Miguel Jimenez, Padraig Harrington, Peter Lawrie, Ross Fisher, Edoardo Molinari, Martin Laird and Darren Clarke. 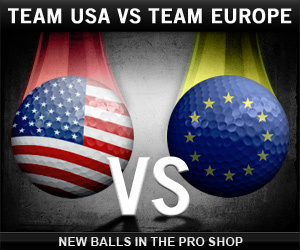 Other past Team USA Ryder Cup players include: David Toms, Nick Watney, Sean O'Hair, JB Holmes, Boo Weekley.